Throughout the recent culture and science “wars,” the radically new conceptions of knowledge and science emerging from such fields as the history and sociology of science have been denounced by various journalists, scientists, and academics as irresponsible attacks on science, absurd denials of objective reality, or a cynical abandonment of truth itself. 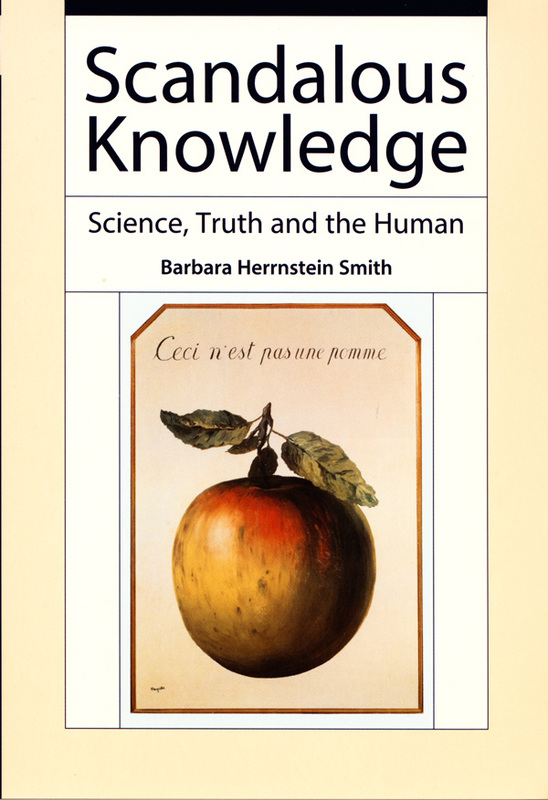 In Scandalous Knowledge, Barbara Herrnstein Smith explores and illuminates the intellectual contexts of these crude denunciations. A preeminent scholar, theorist, and analyst of intellectual history, Smith begins by looking closely at the epistemological developments at issue. She presents a clear, historically informed, and philosophically sophisticated overview of important twentieth-century critiques of traditional—rationalist, realist, positivist—accounts of human knowledge and scientific truth, and discusses in detail the alternative accounts produced by Ludwik Fleck, Thomas Kuhn, Michel Foucault, Bruno Latour, and others. With keen wit, Smith demonstrates that the familiar charges involved in these scandals—including the recurrent invocation of “postmodern relativism”—protect intellectual orthodoxy by falsely associating important intellectual developments with logically absurd and morally or politically disabling positions. She goes on to offer bold, original, and insightful perspectives on the currently strained relations between the natural sciences and the humanities; on the grandiose but dubious claims of evolutionary psychology to explain human behavior, cognition, and culture; and on contemporary controversies over the psychology, biology, and ethics of animal-human relations. Scandalous Knowledge is a provocative and compelling intervention into controversies that continue to roil through journalism, pulpits, laboratories, and classrooms throughout the United States and Europe. Barbara Herrnstein Smith is Braxton Craven Professor of Comparative Literature and English at Duke University and Director of its Center for Interdisciplinary Studies in Science and Cultural Theory, and Distinguished Professor of English at Brown University. Among her books are Belief and Resistance: Dynamics of Contemporary Intellectual Controversy and Contingencies of Value: Alternative Perspectives for Critical Theory. Smith is a fellow of the American Academy of Arts and Sciences and the American Association for the Advancement of Science.